Liverpool’s on-loan midfielder Marko Grujic has been alternately incredible and injured for Hertha Berlin; on Friday night it was the former. The Bundesliga’s regular schedule sees one match played on a Friday night almost every week and, on this occasion, it was Grujic’s side involved in a home match against Schalke. Over the past few days, Grujic’s exploits overseas this term have come to light for Reds fans as manager Pal Dardai highlighted just how important he has been for the team. 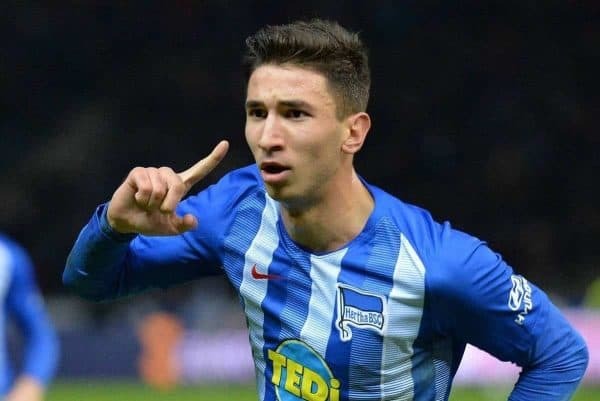 The midfielder was hailed as a “top shelf” player, the best midfielder Hertha have had in 20 years and Dardai pointed out how the team played so much better, and fared far better in results, when Grujic was on the pitch. On Friday night that proved to be the case again, with the Serbian netting the first equaliser in an eventual 2-2 draw against a Schalke side who struggled in the first half of the season, but have been mounting a revival. Grujic, playing from the start in a central midfield role as part of a double pivot and later in a diamond, was involved at the beginning of a brilliant team move which ran the length of the pitch—and ended with him sweeping home a fine finish. It was his second Bundesliga goal of the season and, as well as netting that strike, he saw another effort saved earlier on and his performance saw him net the star man award on WhoScored. The result keeps Hertha on the fringes of the European spots, in seventh place, giving Grujic and his team plenty to play for over the last four months of the season. 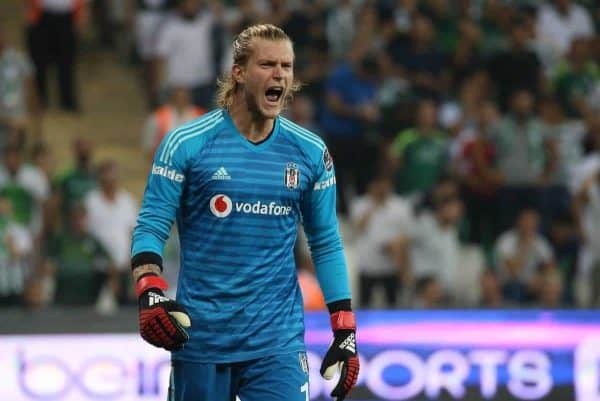 Elsewhere, Loris Karius was also in action on Friday night, in goal for Besiktas’ Turkish SuperLig game at home to Erzurumspor. The German goalkeeper couldn’t help keep a clean sheet, as the sides drew 1-1, but there was little he could do about the one he conceded, which went in for an own goal after a double deflection. Karius did make a couple of saves, including one with his feet at the near post at 0-0. Dorukhan Tokoz, who scored the own goal, eventually also provided the equaliser to put Besiktas in the top four heading into the weekend.